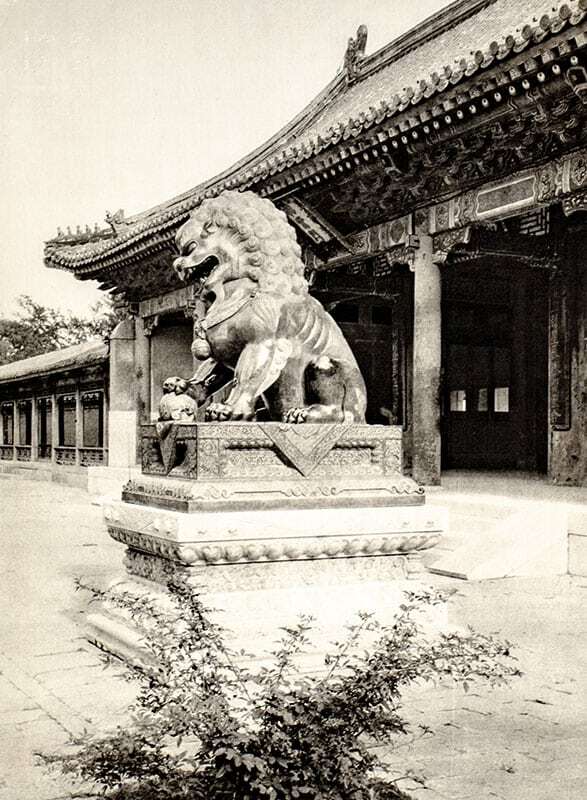 Shanghai, China: The Commercial Press, 1927. First edition of this work comprising photographic studies of the celebrated monuments of China’s northern capital with descriptive and historical notes. 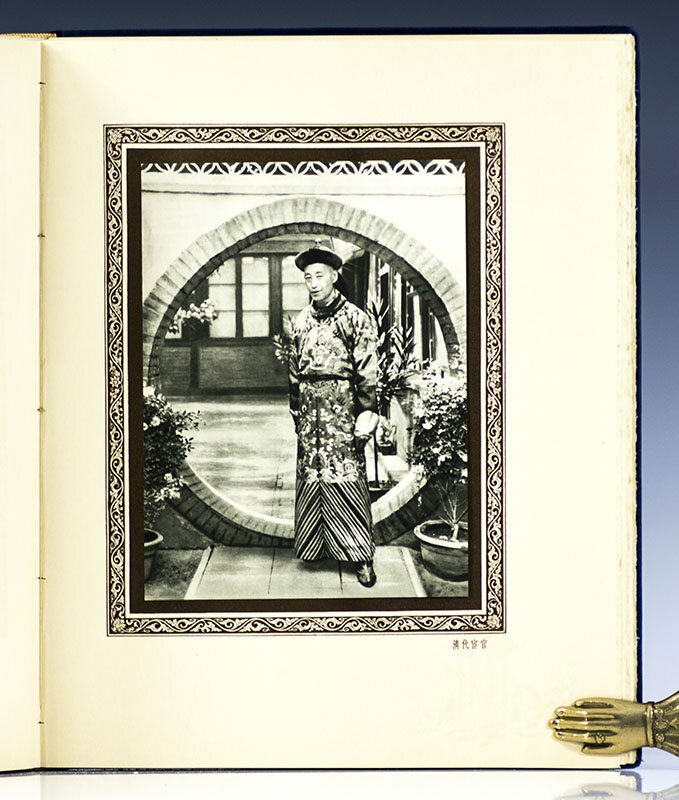 Folio, original embroidered silk pictorial boards. 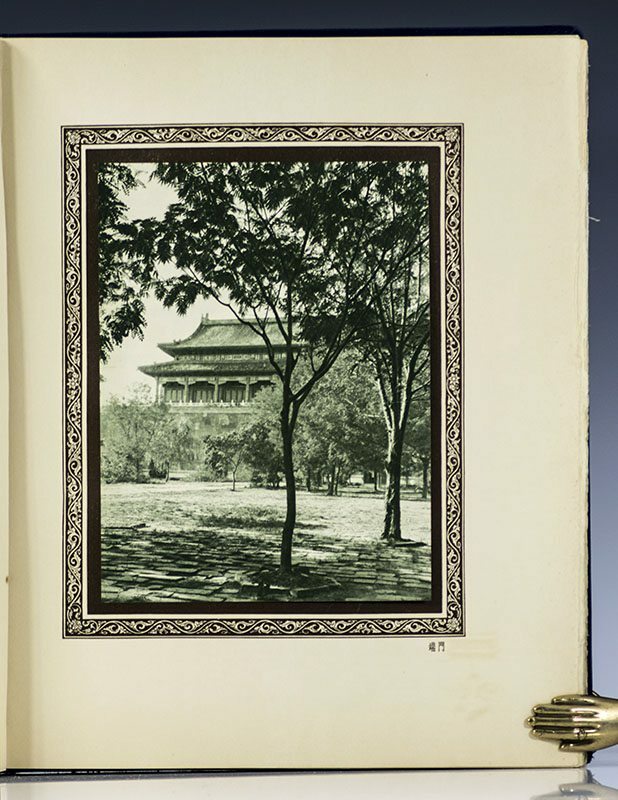 Contains 70 photographic plates mounted, numerous illustrations in text. 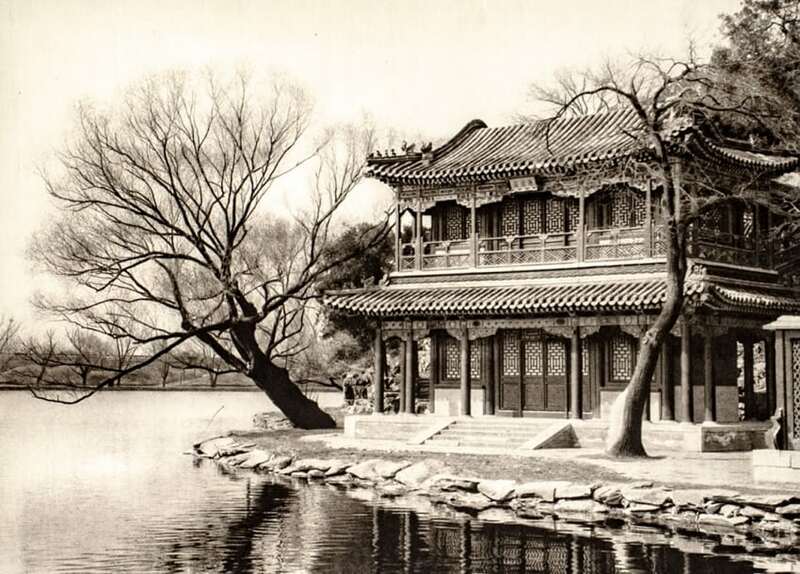 Contains an introduction by Hu Shih, professor of Philosophy at the National University of Peking. 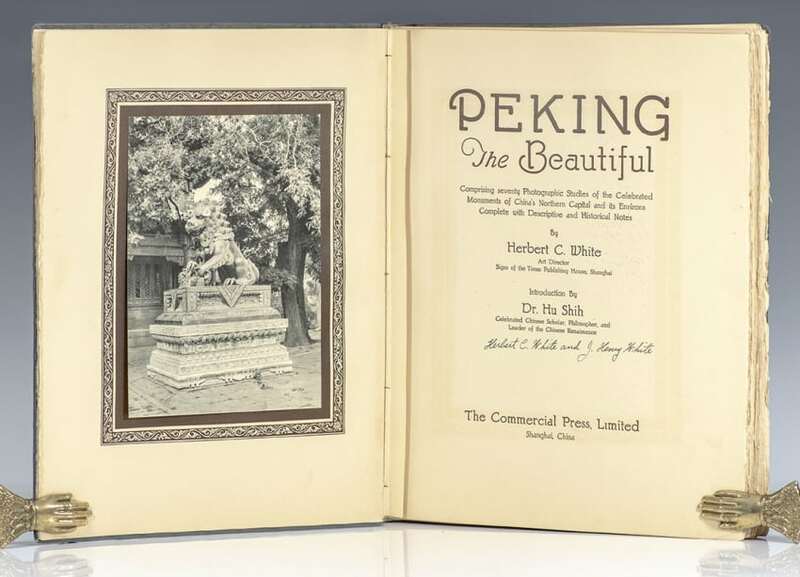 Signed by Herbert C. and J. Henry White on the title page. 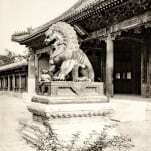 Herbert C. White’s twin brother J. Henry White “assisted him on all the numerous photographic expeditions” and was essential in making the book a success as is stated on the acknowledgment page. 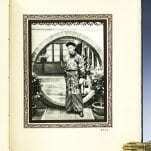 Given by the author to Rear Admiral H.P. Riebe, Inspector General of the United States Naval Dental Corps who was stationed in China in the year of publication. In very good condition with some rubbing and wear. 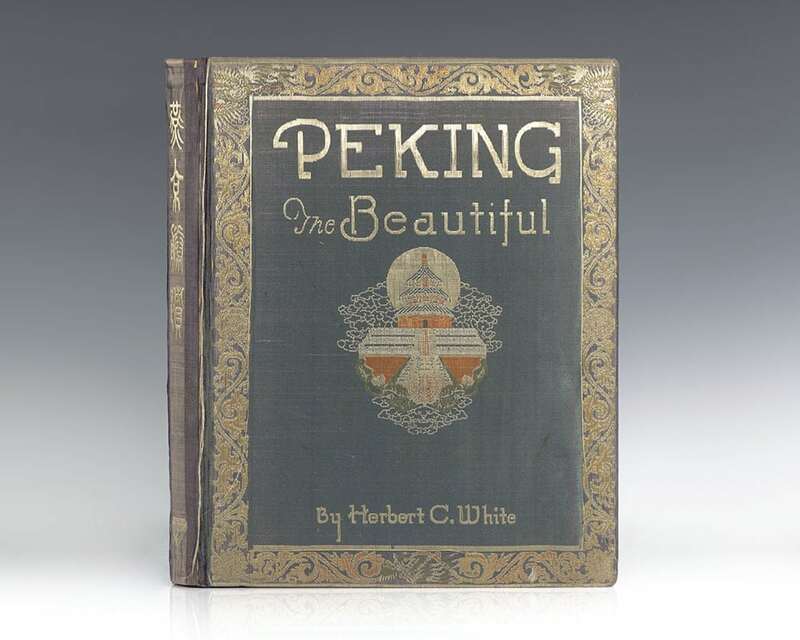 Rare and desirable signed by both Herbert C. and J. Henry White. 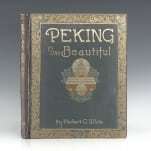 In 1927, photographer and art director of Signs of the Times Publishing House in Shanghai, Herbert C. White, published Peking the Beautiful. 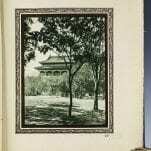 White dedicated the book, "To All Lovers of China's Glorious Artistic Heritage" and expressed sincere thanks to Princess Der Ling for her preparation of the captions of the book which she transcribed from the expertise of the Empress Dowager in the Forbidden City. 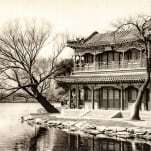 1920s China was a period particularly marked by the emergence of photographically illustrated publications dedicated to famous places. 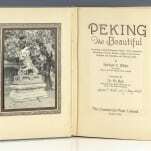 As is stated in the book's preface: “The very fact that so many of the ancient landmarks (...) are being torn from their foundations and ruthlessly destroyed, makes an album of this kind not only interesting as an art volume, but a work of immeasurable value to China and to the world, as an authentic record of picturesque Peking."